In three back-to-back games against the two best defences in the Premiership we’ve scored 12 goals. That’s an average of 4 goals per game and away from home to boot. In short, it’s title winning form. So what does Ancelotti do against Bolton? He tinkers with the squad. When the Anglesea Arms pub crew saw the team sheet for the game against the Trotters our hearts wilted and heads visibly dropped. We’ve seen, at first hand, how our team plays miserably when Drogba’s alone up front in a 4-5-1 or Christmas tree formation. Add in two slow holding midfielders (Mikel & Ballack) along with an out-of-position Anelka on the wing and you’re asking for trouble. 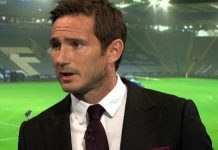 With Frank Lampard also having to play deeper (to accommodate the formation) the team becomes more disjointed than a three-legged carthorse in a dressage competition. The thin icing on the cake was the inclusion, from the start, of Salomon Kalou. We’ve given Salomon our encouragement all season but it’s time to tell it like it is: Kalou simply isn’t good enough to be a first eleven starter. More Lionel Blair than Lionel Messi, he’s competent enough as an impact substitute but that’s about it. To our eyes it was almost comical to see Florent Malouda being awarded the Barclay’s Player of the Month trophy and then unceremoniously dropped to the bench as Kalou took his place. Laugh? We wanted to cry. With Joe Cole also relegated to the bench to sit alongside former Barcelona playmaker Deco, our tears turned to uncontrollable sobs. Does Ancelotti really want to win the title? The game, of course, unfolded just like any Anglesea Arms crew member could predict. 15th place Bolton more than matched us and despite us walloping them 4-0 twice in October, we couldn’t make any headway this time around. With the team and formation we put out, that was as surprising as Wenger moaning when Arsenal lose. At least the crowd raised themselves from their stupor. Having witnessed Wigan score a last minute goal to ruin our title hopes a few years ago, the last twenty minutes saw some searing chants as we implored the Blues to score a second to see the tie off. As it was, despite some close calls and the woodwork rattling, we were lucky to win – Bolton had two clear cut penalty appeals and Elmander nearly scored with a back post header late on. Man of the match was the neatly bandaged Yuri Zhirkov who yet again had a magnificent game as cover for Ashley Cole. Zhirkov’s crosses would do any winger proud and he’s going to give Ashley a real run for his money over the next few weeks. At the final whistle, the relief that swept through the Matthew Harding Lower was palpable. A desperately unconvincing performance that had the Independent’s Sam Wallace suggesting, “demonstrates enough shakiness about Chelsea to suggest that this title race may yet have another twist to it”. How can we do it the easy way? By playing our best side in a settled system. It’s not rocket science but with the constant tinkering that Ancelotti favours – we’ve only used the same eleven players twice in 57 games – it’s more than likely that we’ll continue to make it difficult for ourselves. We’re our own worst enemy. With The Double only five games away we don’t know whether Ancelotti’s a tactical genius or just plain lucky. Time will tell, but as the Independent’s Wallace asserted, “as has been the way under Ancelotti, Chelsea did it the hard way.” Now Carlo, can we do it the easy way? If you need a tip, dig out our first half display against United and watch it again. Next articleIS JOE COLE WORTH WHAT HE THINKS HE IS?